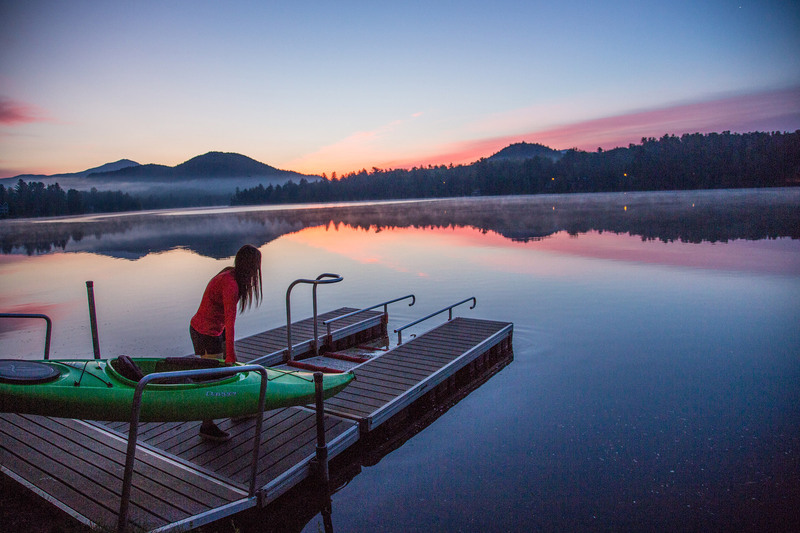 Waters have thawed, temperatures are rising, and the days keep getting longer. 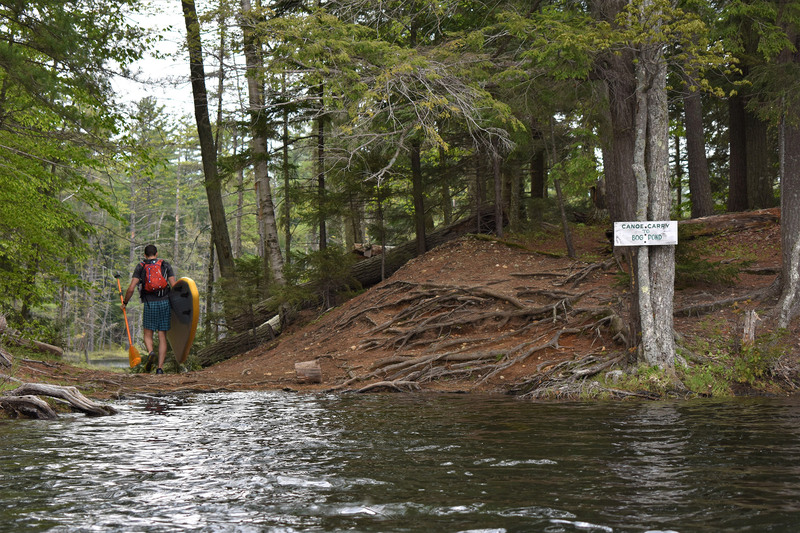 So, it’s time to dust off your paddling gear and head to your favorite aquatic playground, if you haven’t already. While you have plenty of things to think about as you prepare for the start of paddling season, be sure to give your body the attention it deserves, too. To help you out, here are seven yoga poses to practice before your first (or next) paddling sesh—or after. Or, if you’re on a stand-up paddleboard, you can even practice these poses while you’re still on the water. 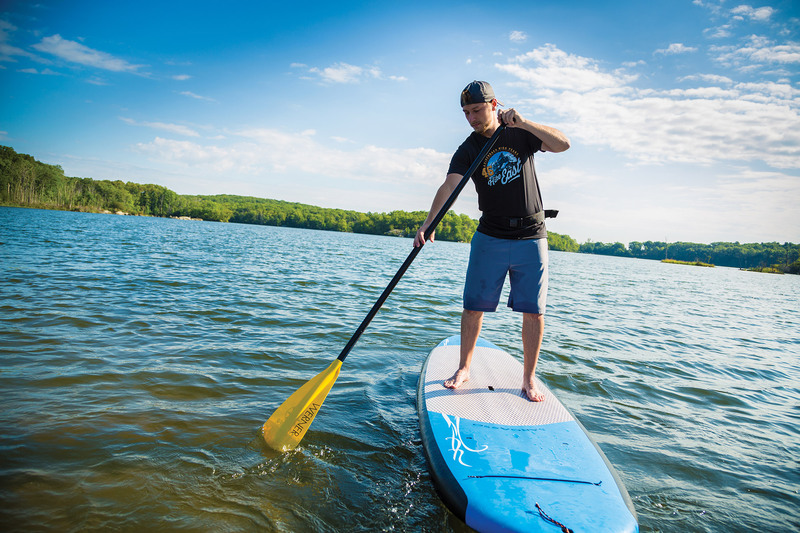 Strong shoulders are key for paddling, whether you’re in a kayak or on a paddleboard. This pose is a great way to both wake them up before getting onto the water and stretch them out when you get back to shore. 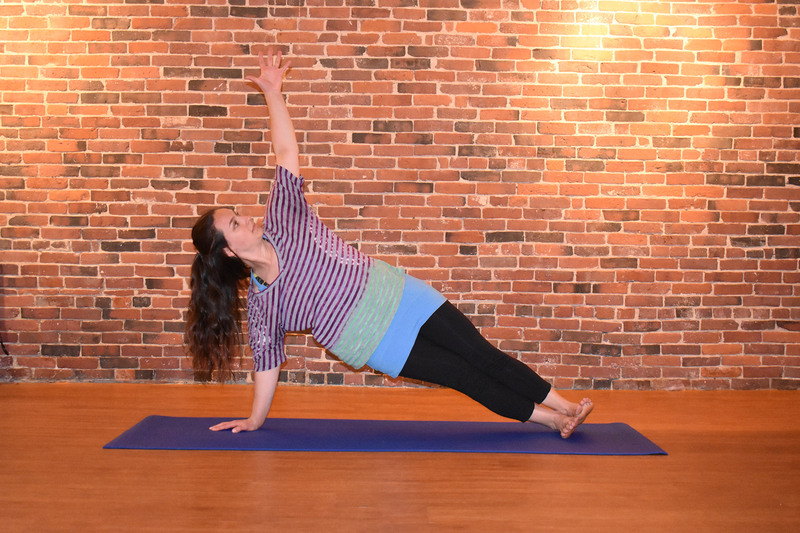 Begin on all fours in tabletop pose, with your knees directly under the hips and wrists in line with the shoulders. Use an inhale to lift your right arm out to the side, and then, send it underneath the left arm as you exhale. In the process, bring the right shoulder and the right side of your head to the ground, as the left arm reaches out in front of you. Rest here for about 10 breaths before returning to tabletop and repeating on the other side. 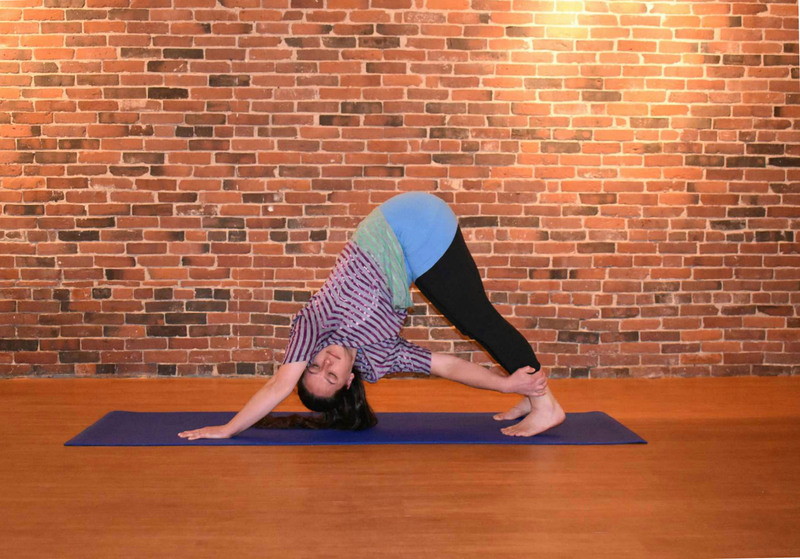 Variation: To make the pose a little more “active,” you can reach the non-threaded arm up toward the sky, or rest the back of that hand on your lower back. 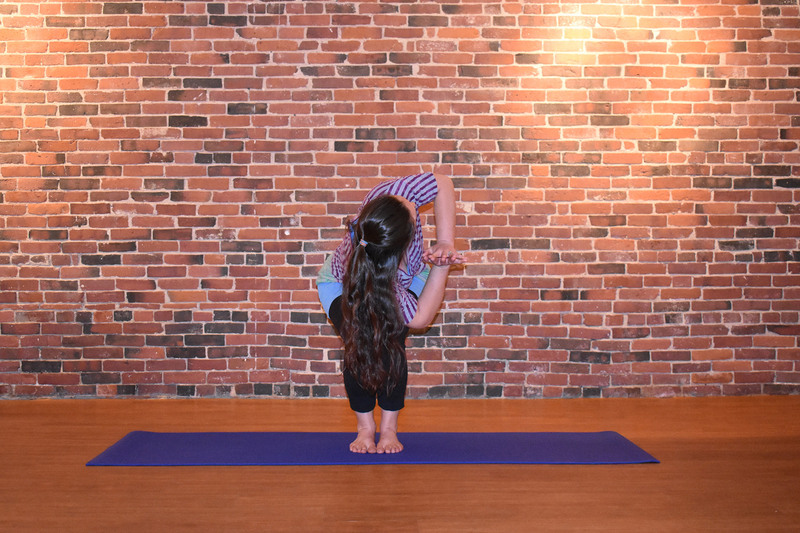 Variation: To make it a little more “restful,” either begin in child’s pose instead of tabletop, or ease the hips down toward the heels once you’ve settled into the twist. 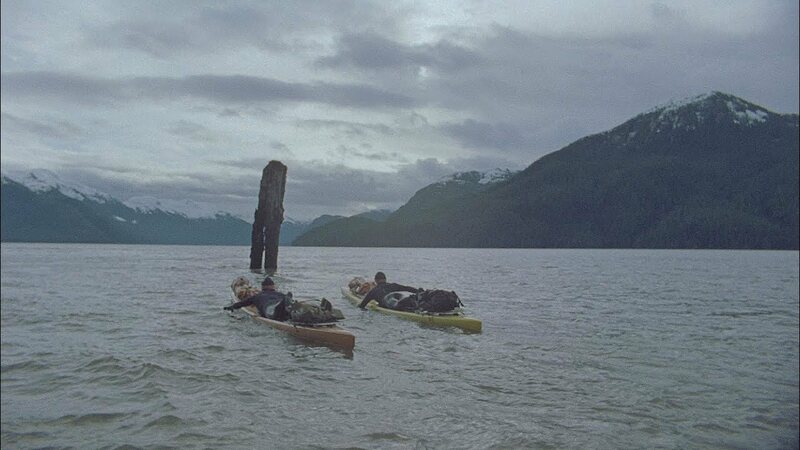 As with most sports, core strength is also vital for paddling. Standard planks are an efficient way to strengthen both the core and your arms, but since paddling’s mechanics mean that one side of the body works at a time, side planks are particularly beneficial for kayakers and SUPers. From tabletop, step back into high plank, with your feet together, and press through the heels to create a strong, straight line from the heels to your head. Shift your weight into your right arm as you rotate onto the outside edge of the right foot, and lift your left arm toward the sky. Keep your feet stacked if you can, or take one of the variations offered below. Hold for as long as you comfortably can, and then, repeat on the left side. Variation: Take things down a notch by bringing the right knee down to the floor, so that your lower leg and foot point behind you. Variation: Challenge yourself (and work your core a little more) by lifting up your left leg. Sitting in your boat for hours at a time can lead to a stiff lower back. As well, keeping your arms raised in paddling position may leave your shoulders, chest, and arms feeling fatigued. Fortunately, cobra pose may help with all of that. Lower yourself all the way to your belly from plank, with your legs together and stretched out long behind you. If you’re extra motivated, go ahead and throw in some push-ups here. Keeping your hands under the shoulders and elbows close to the body, press the tops of your feet, your thighs, and your pelvis into the floor, and push through the palms to begin lifting your upper body. Lift yourself as far as is comfortable. You may be able to fully straighten your arms, or you may need to keep a bend in the elbows—either way is fine. Focus on opening up the front of your body by gently lifting your sternum while simultaneously “squeezing” your shoulder blades together. Hold for five breaths, and then, release back down to the floor on an exhale. Repeat two or three times. Even though it may feel like your upper body does most of the work, your legs also play an important role in paddling. 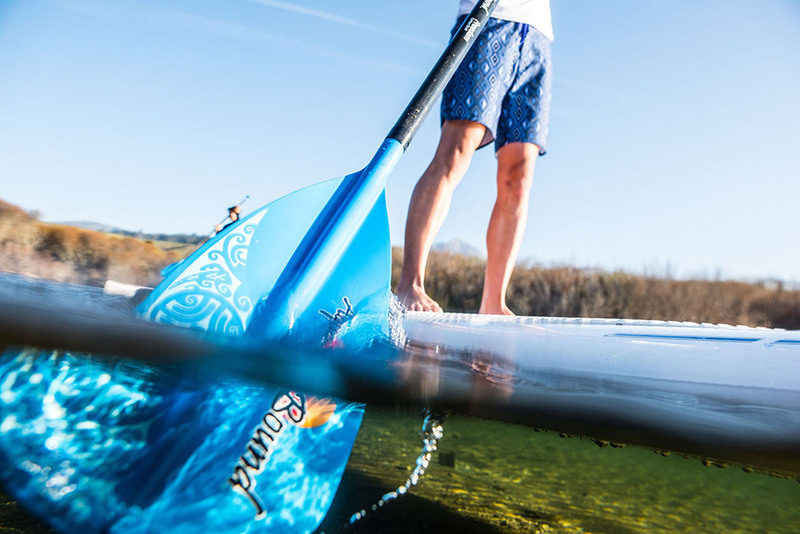 They help steer and stabilize your boat while you’re kayaking, and they’re kind of important when it comes to the “SU” part of SUPing. The beauty of down dog twist is that it stretches the leg muscles just like traditional downward-facing dog while also stretching out the shoulders a little more and helping build rotational core strength, which is where your paddling power comes from. When you’re finished with cobra, press back up to tabletop. Then, begin working your way into downward-facing dog, but with your feet a little bit wider apart than the usual hip distance. On an exhale, reach your right hand back toward the left leg, taking hold of your calf or ankle—whichever feels best—and let your gaze come under the left armpit. Hold for a few breaths, return to down dog on an inhale, and then, repeat on the opposite side. Similar to the way down dog twist addresses the shoulders and core while stretching the legs, chair twist does the same while strengthening the legs. In addition, both of these twisting poses can help strengthen the lower back, which in turn helps you avoid paddler’s back pain. Start in a regular chair pose (feet together or hip-distance apart, lowering the hips toward the floor, and keeping your weight in the heels) with hands at heart center. Use an inhale to lengthen through the spine, and then, bring your right elbow toward the left outer thigh on an exhale. Peek down at your knees to make sure they stay facing forward and are even with each other. Keep pressing your palms into one another to stretch out your shoulders, or spread your wings (right hand toward the floor, and left arm reaching high) to open up through the chest. Stay here for about 30 seconds, and then, switch sides. Even if it weren’t so appropriately named, boat twist would still be an important pose for paddlers to practice. Just as traditional boat pose improves core strength and balance, so, too, does boat twist—with the added benefit of working the obliques to continue building rotational core strength. Bring yourself to a seated position with your feet flat on the floor. Inhale to lengthen through the spine, and then, exhale to lean back into boat pose with the knees bent and lower legs parallel to the floor. Keep your core engaged, and twist toward the right on your next exhale, reaching your right arm back and sending the left hand toward your feet. Hold for five breaths before returning to center, and then, repeat on the other side. 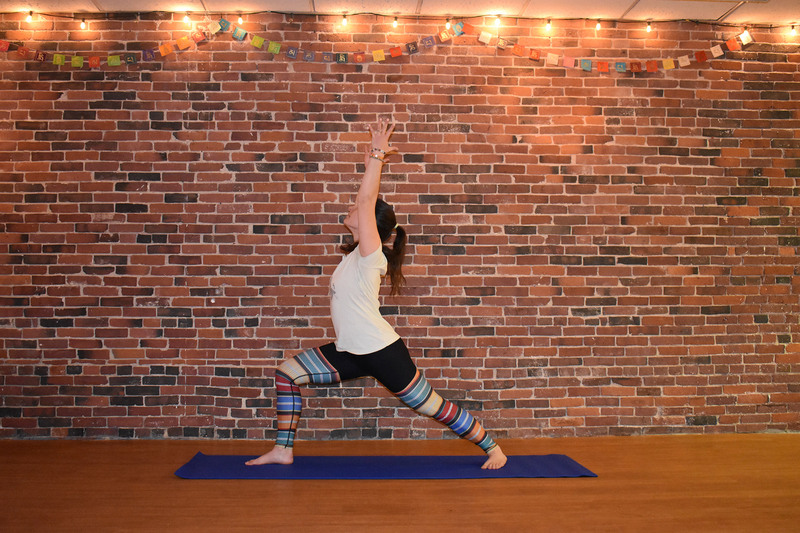 Variation: If you can extend your legs in boat pose, try crossing your right leg over the left, and holding onto the inside of your left foot with the left hand as you twist to the right. When you switch sides, do the opposite. We’ll wrap things up with one more twist, since having a strong, fully mobile torso is so vital to both kayaking and paddleboarding. Again, even if half lord of the fishes didn’t have such a perfect name, it would be a pose every paddler should practice regularly. 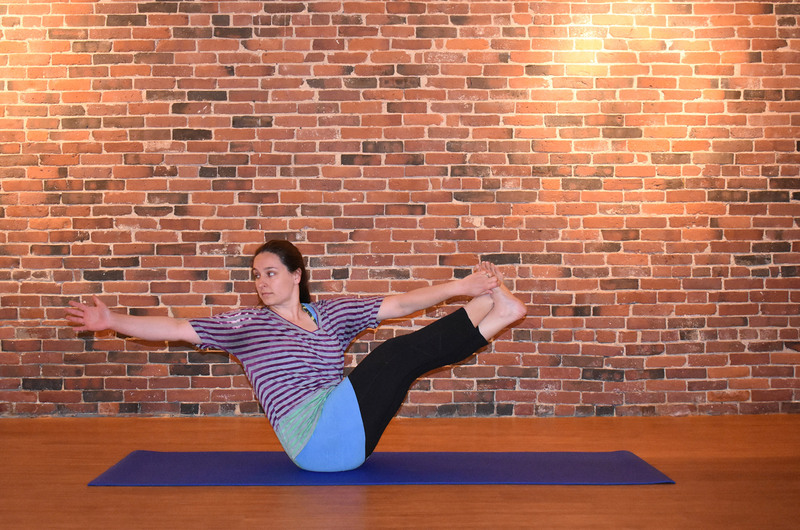 In addition to the benefits of the other twisting poses we’ve done, this one also provides a gentle stretch through the hips, which will feel particularly amazing after you spend the day sitting in a kayak. Start seated with your legs extended in front of you. Hug your right knee in toward the chest, and then, cross the right leg over the left, so that your right foot is on the floor next to your left thigh. Bend your left leg to bring the left foot toward your right hip. On an inhale, sit up nice and tall. 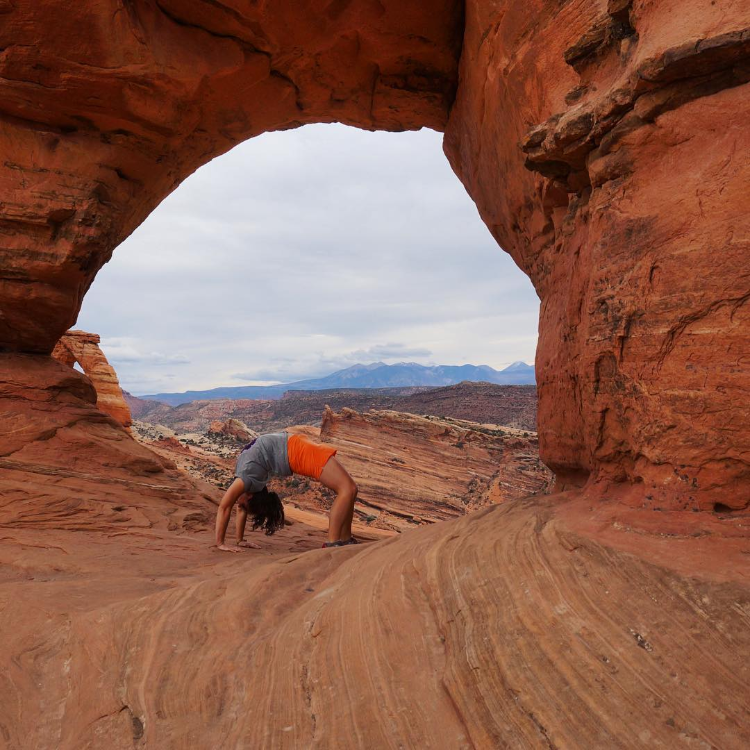 As you exhale, twist toward the right, pressing your right hand into the floor just behind you for support and bringing the left upper arm to the outside of your right thigh. Hold the twist for up to one minute, and then, repeat on the opposite side. Variation: If bringing the left arm to the outside of the right leg is too intense, simply use the arm to hug your leg instead.